There's nothing like a ropey image to lend credence to a rumour, is there? 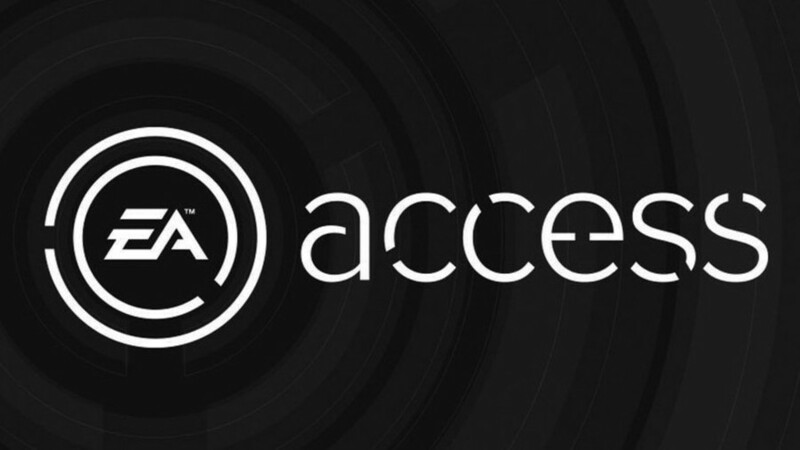 You may recall publisher EA mention during a conference call that it plans to bring its subscription service, EA Access, to "another major platform" in 2019. Many assumed this major platform to be PlayStation 4, despite Sony's initial stance against it, declaring it poor value for money. Well, if the above image is anything to go by, we could see EA Access on PS4 sooner rather than later. 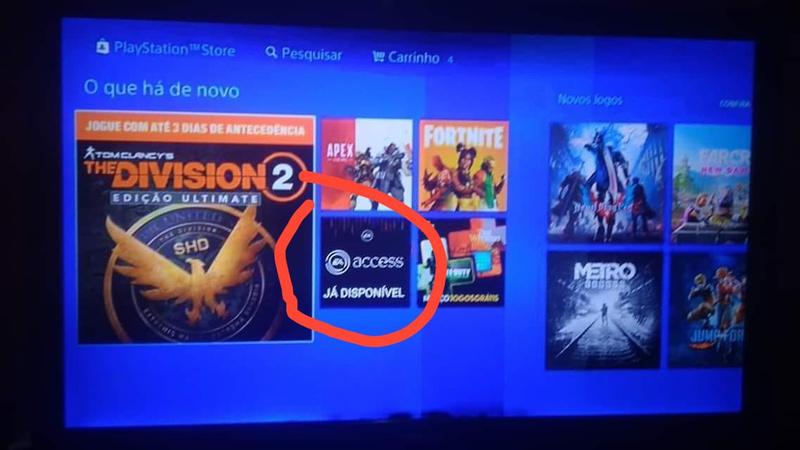 Posted on Reddit, this blurry shot shows the Brazilian PlayStation Store, where someone clocked the icon for EA's service. Another user on Reddit claims the text below the logo reads, "now available," which suggests it's ready to go. That's if this image is real, of course; it could still be a big fat fake. However, it does line up with EA's aforementioned comments. We imagine that, whether this picture is real or not, EA Access will appear on your PS4 some time soon. Do you want EA Access on Sony's console? Would you use it, or are you not interested? Subscribe to the comments section below. Considering most of EA's games release in an early access state already, what does this mean exactly? Maybe they're just sending you the drafts or a bunch of concept art. Told ya it wouldnt be the other platform. They have no interest in it. Makes me wonder what changed at Sony. I will almost certainly never use this service. Definitely wouldn't be getting this, I barely have time to play more than 1 or 2 psplus games a year, even though I'm interested in more of them. So I'm certainly not paying for games I have no Interest in. There are so many amazing games to play that I choose to buy. My paid for backlog includes spider-man, God of War, farcry 5, wolfenstein 2. I literally can't get through the cream of the crop quick enough. Awesome! Hope it gets announced soon! It's looked likely since EA's games have been coming to PS Now. Was probably the compromise deal. I won't even pay the one time asking price for their appalling games, do they think I (and others who feel the same) will pay them continuously which will give them an excuse to produce games even more unfinished and riddled with loot boxes. This is good for people who play lots of ea games and don't want to shell out the full amount on release. As we all know, EA games tend to drop in price due to various circumstances, so this could be the better option. Still not for me though. I’m already a subscriber just because for £20, I can play all the BioWare games and some pretty great indie titles until I unsubscribe before it renews next year. It’s stupid, I know, but it felt like decent value for money, even if it was timed. Still wouldn't touch with a 10 foot pole. I don't think it's true, I can't find it here, the only thing I can find that resembles this icon is the EA deal that's currently going on. I wouldn't say I'd never subscribe to it, but I certainly see no reason to at the moment, since - looking through the games on the service - there's nothing I'd be interested in playing. My days of fifa and madden are long gone. Probably not for me. No Thanks, I will save the subscription price and buy the very few EA games I do buy. Then when they are discounted to sub $20 physical disc on Black Fridays. I have Dragon Age, Mass Effect Andromeda, and 2 Need for Speed games. Whoever took that picture should take better care of their tv. Figures that news of an EA service comes by way of someone who likes broken things.